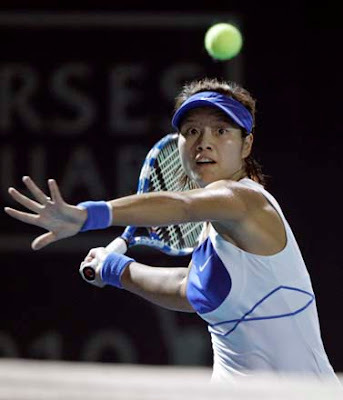 Newly crowned world no.10 Li Na crashed out of the Malaysian Open after losing to Tatjana Malek (GER) 1-6, 7-5, 2-6. Top seed Elena Dementieva and no.3 seed Zheng Jie both progressed to the second round after her easy defeat over Russians Ekaterina Bychkova and Elena Bovina respectively. Other singles matches saw young Asian players like Chang Kai-Chen and wildcard recipient Noppawan Lertcheewakarn move into the next round.